Milan - Napoli fell to a 2-1 defeat by relegation-threatened Empoli on Wednesday, opening the way for Juventus to claim an eighth consecutive Scudetto from as early as this weekend, while Mauro Icardi returned to help Inter Milan get back to winning ways. Juventus beat Cagliari 2-0 on Tuesday in a game overshadowed by the racist abuse of Moise Kean and Blaise Matuidi in Sardinia and now have an 18-point lead on second-placed Napoli. The Turin giants play AC Milan at home this weekend and would claim another title if they open up a 21-point gap on Napoli, who have lost both their matches this season to Juventus. Juventus, who are currently missing Cristiano Ronaldo through a thigh injury, would need to beat AC Milan and for Carlo Ancelotti's Napoli to lose to Genoa on Sunday in order to seal the championship. 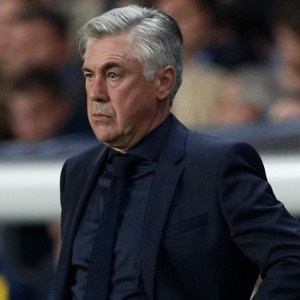 "We deserved to lose," said Ancelotti after his side's fifth defeat this season, as they prepare for next week's Europa League quarter-final first leg against Arsenal. "We have to roll up our sleeves and think about the next game. We were messy, inattentive, we didn't follow plans. "It was a subdued performance in general. We lacked ideas and legs." Diego Farias opened the scoring on 28 minutes for the hosts in Tuscany with a shot which took a deflection off Napoli midfielder Piotr Zielinski. Former Empoli loanee Zielinski made up for his error just before the break with a superb shot from distance to equalise. Icardi marked his return after nearly two months out amid a contract dispute which saw him stripped of the captaincy by scoring Inter's second goal from the spot in a 4-0 thrashing of Genoa. The Argentine was whistled and insulted by the travelling Inter fans in the western port city, but shrugged off the cobwebs of his weeks of absence, although he was denied the opener by the post in the 20th minute. Icardi scored Inter's second goal from the spot after Cristian Romero was sent off for a foul on the striker five minutes before half-time as he raced through on goal. Icardi converted the penalty for his tenth league goal this season and first since December 15. The Argentine then set up Ivan Perisic for the third. Roberto Gagliardini bagged his second brace this season against Genoa, after also scoring two in the reverse fixture. Inter, in third, lost 1-0 to Lazio last weekend but have again reduced the gap on Napoli to seven points, and are four ahead of AC Milan who were held 1-1 by Udinese on Tuesday. The battle for the final Champions League berth remains tight with Atalanta, Lazio and Roma all within touching distance. Lazio, with a game in hand, fell 1-0 to lowly SPAL, with Andrea Petagna scoring from the spot to move the side from Emilia-Romagna four points clear of the relegation zone. Claudio Ranieri's Roma avoided a third straight defeat by snatching a 2-2 draw at home against Fiorentina, after twice being led by the team who had hammered the Romans 7-1 in the Italian Cup. Atalanta, in fifth, can edge closer to the Champions League places when they host Bologna on Thursday.